Take a look at your county and how it stacks up to other counties on this incredibly detailed website, http://www.countyhealthrankings.org/. We are proudly helping Starke County, Indiana which has a long way to go in many areas. Ski Krzyminski was an entrepreneur and his daughter, Kathy Carrier, followed in his footsteps. What’s not to love about this book, written by the man who founded Nike? Sure, Nike is an amazing success story. What we appreciate about this entrepreneur’s story is that he was like the Whack The Mole game at a carnival. The challenges and barriers just kept popping up and he just doggedly kept knocking them down. This book is always a good read. It changed my life when it was published and inspired me to tackle my life differently, better. A local friend, she inspires us with her words and more so, her actions. 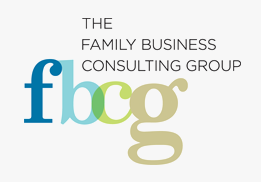 The Family Business Consulting Group helps families prosper across generations. Their website www.thefbcg.com, books webinars, articles and newsletters have been helpful to our business, Briljent. We especially appreciate the periodic counsel that we’ve gotten from one of their long-time principal consultants, Chris Eckrich, a Fort Wayne native.